“People thought that I wasn’t married because I was a career architect. The assumption is that you can either have a firm, or you can have a reasonable life as a stay-at-home mom – but then you can’t have a career. They aren’t dichotomous lifestyles. This article is part of our Women in Architecture interview series, exclusive to The Architect’s Take. 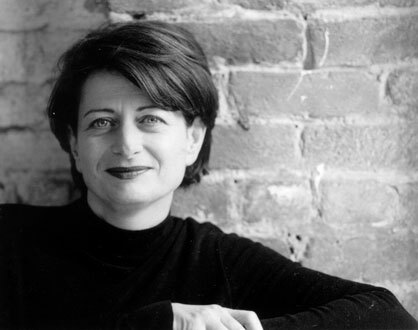 Anne Fougeron, FAIA of Fougeron Architecture has a unique and decidedly Modernist vocabulary, and has created numerous award-winning public and private sector projects. Her outspoken and fearless candor has been featured on The Architect’s Take in a prior interview as well. It was by accident, really. Over the course of 5 years, I had worked for 3 different architectural firms. The atmosphere was great, but I wasn’t inspired by the projects we were doing. Then, I worked for the San Jose Redevelopment Agency and that lasted for less than a year. It definitely wasn’t my calling to be a bureaucrat! There was really no one else in San Francisco that I wanted to work for. The city had won me over and I knew that wanted to stay in the area. Maybe I was at first a freelancer. I got some little jobs my way, and that was how it started. It was spontaneous, which may contradict what I said elsewhere; I didn’t think it through in a deliberate way, as in “I want my independence,” or “I want to make my own hours,” nothing really like that. I was a Modernist and there were really just a few architects doing modern work in the mid-80’s in the Bay Area. Perhaps not the best small business model nowadays, but this was the ’80s. At that time, lots of people were doing their own thing and I knew that wanted to do my own designs. I’d worked in other offices, so I thought I understood how small businesses operated. It turned out that I didn’t really, but I learned soon enough. Why did you choose to go for your license? Well, it wasn’t ever a question for me because I wanted to legitimize my practice. Sure, you can defer it and have someone else stamp your drawings, but you’ll only be able to take on small-scale projects. If you’re going to have your own firm, and do big projects, you HAVE to have a license. But it did take me quite a while to get my license. I’m not the greatest of test takers. I got my masters from UC-Berkeley in 1980 and I didn’t get my license until 1988. Getting licensed in California wasn’t the easiest thing in the world. The exams were a complicated, multi-part series of tests, which kept changing. I’d pass one part, like Architectural History (my favorite subject) and then that part would get eliminated in later versions of the test. But then there was the Design Exam where you had to design your own building in 12 hours, and at that time it was hand drawing, without CAD (what’s CAD?). It was hard to get it done in the allotted time. You were stressed. Your hand cramped. Your ideas got jumbled. Then, once you passed all the written stuff, there was the oral exam. You sat at a table in a room with 4 architects, all of them asking you questions you’ve never heard of before. It was intimidating. And the tests weren’t offered all that often. I guess that doesn’t excuse me from the time in ’85 when I just didn’t show up to my tests! How did you get your first projects? They were just small projects. I don’t even remember now because I was young and desperate (or maybe eager?). It was bathroom remodels, kitchen remodels, decks, that sort of thing. I only remember one building I helped design, it was a disaster – and I made the mistake of pointing it out to my daughter. She prints out a copy of the image every time I win an award. I was naive about what it took to run my own business, too. Have you ever been frustrated by your female colleagues? This includes employees. That’s a complicated topic and I am not sure I can adequately answer the question in just a few minutes. I think it all goes back to women’s place in architecture – both how society treats them as architects, and how women see their own place as architects. I think that women have to work harder than men do in order to succeed [in architecture]. So women already have to bend themselves to accommodate a male workforce [a male- dominated or male-majority work environment]. It leads to more dissatisfaction with your own work, you don’t feel respected but more importantly, you don’t feel challenged. And I think ultimately it leads to some women feeling less engaged with their careers. And that doesn’t even begin to cover the struggles you, as a female architect, have with your personal life. What frustrated me the most was how some women would assume that once they had a kid, their work environment would change. You have a child at home but you have to be present when you come into work. You’re a mother and an architect, not a mother who is an architect. If someone needs some flexibility because of family duties – yes, that’s fine. But when you’re at work, you have to be fully engaged and focused on what you’re doing. It’s a fine line to draw, between flexibility and distraction. As a business owner it is important for me to be fair to everyone. I always assume that men and women can and should do the same work. No one gets preferential treatment. I’m lucky to have been successful in such a tough business, regardless of my gender. But people still ask me if I was ever married, and assumed that if I wasn’t, it was because I was a career architect. The assumption is that you can either have a firm and then you’re a workhorse with no time for family life, or you can have a reasonable life as a stay-at-home mom, but then you can’t have a real career. For example, in the Architect’s Journal study about women in architecture, there was a woman who commented that Zaha Hadid’s success has resulted in her having no family life. My first reaction was “Who cares? And how is that relevant to her body of work as an architect?” Why is a family life something a successful woman has to give up? It might have never been on Zaha’s radar. How presumptuous it is for anyone to assume that Zaha is not perfectly happy with the choices she has made, both professionally and personally. Besides, just because you aren’t married doesn’t mean you are relegated to a life of spinsterhood. I remember the late 80s when that study came out saying that women over 35 were more likely to be abducted by terrorists than to get married. Zaha could have had 7 lovers, one for every day of the week for all we know! We – and women particularly – should all be proud of Zaha. She is a resounding success and an extraordinary architect. And frankly, I don’t hear the same criticism being applied to Rem Koolhaas. A few years ago, I remember a piece on him in the New York Times. And they were just flippantly describing his two families – one with his wife and the other with his mistress. I mean, he clearly had enough time on his hands. He had it all, and then some. Women have a harder time than men in architecture, plain and simple. And it gets discouraging. You can get beaten down. It can be easier to find something else to do instead. I was a single mom at the same time that I had a firm, and it wasn’t easy. I didn’t have a life partner to support me; I had to work. I had some more flexibility, because it was my own firm, so I could incorporate my daughter into my work schedule. She would come to the office after school and it was fine. Or I didn’t have to ask permission to go to parent-teacher conferences. But I was the boss, and even when I could leave for an hour on a Wednesday to see her play basketball, I still had to land new jobs, make payroll, attend meetings, serve on architectural juries, and pay the rent. You can’t say, “Here’s what I CAN’T do,” as if the world is going to cut you slack over it. After my kid was in bed, I’d come back down and work late in the evenings or I’d work through the weekend. You make it work. Can people work part-time successfully? You can’t really be part-time in a service-oriented industry with a product at the end – not for too long. I think that you could, perhaps, be seasonal? Projects have a life of their own. You can’t check out at 3pm or not respond to a client’s email for three days, whether you’re male or female. I think other types of jobs can be half-time and people can be successful if there’s less day-to-day project management, but that’s just not the case in architecture. Do you have any discrimination stories to share? I think what is grating is the subtle discrimination or disrespect, and oftentimes people don’t even realize they’re doing it. Early on, I had a business partner, Louis Schump. We’d go to meetings together. And people just didn’t pay attention to me as much. People would automatically defer to him, especially on matters of construction. I don’t even think Louis owned a toolbox at the time. This kind of subliminal bias is more of a problem than blatant discrimination, because it’s more difficult to deal with. People just didn’t see me the same. Sometimes if it’s really blatant, you just have to say something. You may be speaking with a client, but why am I building you a house if you can’t look me in the eye? But mostly you find that you just have to ignore it. You just have to plow through. In the end, I think it affects them more negatively than it does me. Does that still happen to you, even now? This passing over, I mean. How would you advise women architects to invest in their careers? Here are the questions you have to ask yourself: Where do I want my career to be in 10 years? What kind of work do I want to be doing? How serious are am I? What I really want? Is a career going to be an important measure of who I am? It doesn’t have to be the only measure, and it’s OK if you don’t want a career, too. But, have a game plan. Make it explicit. Express it and stick to it. Don’t give up on it halfway through. Women nowadays may find partners who are more willing to share in the work [of child care and homemaking]. I have friends who stopped working when they got married. They gave up their careers because the men were earning more than they were and it seemed to make sense at the time. But now they’re divorced and they’re wondering how to make ends meet. And these women aren’t incompetent or lazy. They’ve got college degrees and years of experience but their resumé stops at 1999. They checked out and you can’t jump back into a workforce if you’ve been out of it for a decade. Maybe the option of not working doesn’t exist anymore. And maybe there are times where the woman’s career can take precedence. I hate to defer to clichés, but compromise is key and it should be a 2-way street. Good partners can stay home with the kids more, be more a part of their lives while a woman goes to work. I think what it all comes down to is you have to be willing to forge your own identity and not tie it to motherhood or architecture. You have to be driven at being the most productive and ingenious version of yourself.